Synopsis from IMDB: “…a gay New York City fashion stylist, Ryan, … detests and rejects his Asian upbringing. He is given an assignment to style Ning, a foreign actor, for an important photo shoot. After a rocky start, an unlikely friendship develops between them leading Ryan to examine his identity and make a major decision about an enticing new path for his life and career. Front Cover approaches gay culture clashes in a unique way. Ryan and Ning have grown up differently – Ryan rejecting his Chinese culture in favor of a more American life, and Ning is still fully a part of his Chinese upbringing. For Ryan being gay and out is just another day at the office. For Ning it’s still something shameful and detrimental. Ryan is having some career issues as he tries to get established in the fashion/publishing world. He seems to have some success, but he loses the cover of his magazine to a coworker and he attributes it to the fact that he is Asian. When he goes to meet Ning, his newest client, they get off to a rocky start as Ning comes across as a snobbish movie star. Where we start to see them connect is when they meet in Ning’s bedroom and he suggests he want to work with pengyou, a friend. When Ryan’s parents come to visit for the day, they think that Ryan has met a nice Chinese boy and seem quite excited about it. The scenes when the two men are interacting with Ryan’s parents are charming in how Ryan and Ning begin to interact with each other. 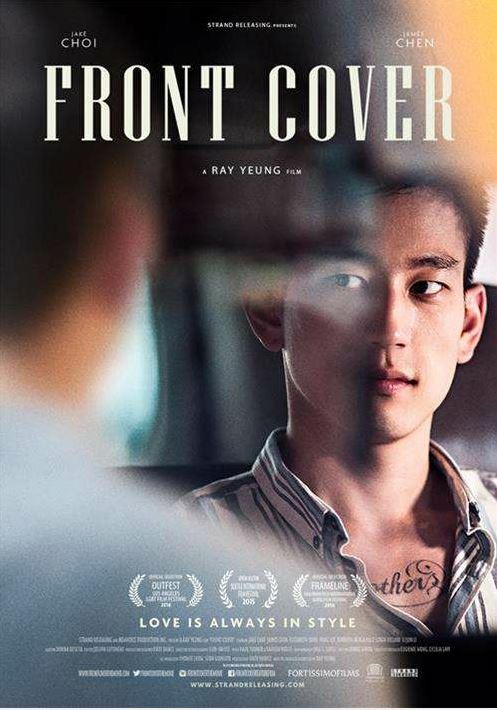 It also shows their walls coming down as Ryan is exposed to his parents’ representation of Chinese culture, while Ning sees the more accepting, Americanized approach to being gay. For Ryan being gay and out is just another day at the office. For Ning it’s still something shameful and detrimental. One of the most touching scenes is when Ryan’s mother asks Ning if his parents know that he is gay. When he replies, “no” you can feel a pang of something more there. He’s not just covering. After the day together, sparks begin to fly and the Ryan and Ning connect right where we originally thought they clashed. But what does the future hold for them? They are still in two different places in their lives, and now we have something of an inner-cultural clash. How does the openly gay man love a closeted gay man, and how does the Chinese culture factor into it? There is some good exploration of themes of internalized homophobia and shame, and then how that translates to a familiar out vs closeted love interest. Interestingly, we also see some self-discovery about cultural shame that I think other, similar films don’t address in such a direct way. Both actors communicate the nuances of their roles very well. They are both very believable in their struggles, and there is a chemistry that grows between them. I love the scene they have together during the photoshoot where Ryan is very offended by an asshat photographer, and both escape together. At first, I found the ending a little wanting, but there’s more there than one might think. This film is about Ryan and his progression as a gay man approaching 30. What does he want from life? At the end, will he still be using hook-up sites or will he find love?